Dealing with skunk spray is never fun, and it can be particularly challenging when you're trying to rid the smell from an air unit such as an air conditioner or intake vent. A couple of natural remedies can work, but chemical approaches may be necessary as well. 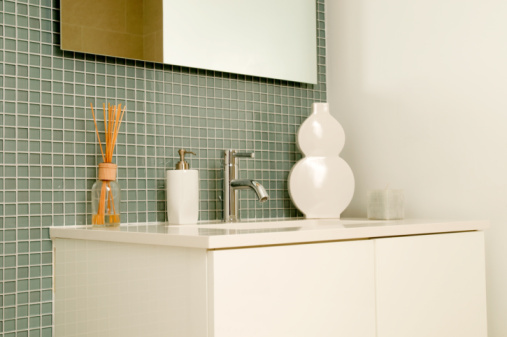 Leaving the smell to go away on its own is not an option since it can then permeate the vent system into the building. 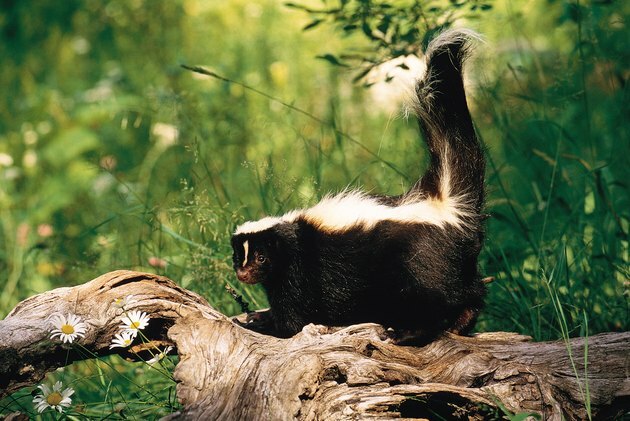 Skunks spray when they feel threatened by other animals or humans. An initial spray and wash of the air unit can reduce the smell somewhat with soap and water, but it won't make skunk spray smell go away. Additionally, be careful when scrubbing an air conditioner that you don't bend the delicate fins on the outside of the unit. Doing so will damage the air conditioner's ability to produce cold air and could cause a Freon leak. For a quick solution you can use household products to "cook up" a neutralizing agent. With a mixture of hydrogen peroxide, baking soda and dish soap, you can create a spray that can break down the oil that causes the skunk smell. The mixture consists of a quart of hydrogen peroxide, 2 tbsp. of dish soap other than Dawn soap, and 1/4 cup of regular baking soda. Combine all the ingredients in a spray bottle with water and adjust the ingredients to boost the strength. Vinegar is also known to be effective at breaking down skunk spray oil as well. Both can be used as a scrubbing agent on the external side of the air unit. Both Febreze and Simple Green cleaning products have been known to work on skunk spray, but Febreze is primarily a smell neutralizer and won't get rid of the cause, the skunk spray itself. Simple Green can be sprayed onto the area of the air unit and scrubbed in. Since it already comes in ready-to-use form, you don't need to worry about premixing the liquid before use. If possible, the air unit should be removed for the best cleaning application. For a vent, this is typically possible by removing the vent from its frame via a screwdriver and loosening the securing screws. For an air conditioner unit, removal is possible if the unit is a window insert. However, if it is a full-grade air unit you won't be able to get access to the inside of the unit. You may be better served by calling a professional service to come out and do a full cleaning of the inside of the air conditioner box. Since 2009 Tom Lutzenberger has written for various websites, covering topics ranging from finance to automotive history. Lutzenberger works in public finance and policy and consults on a variety of analytical services. His education includes a Bachelor of Arts in English and political science from Saint Mary's College and a Master of Business Administration in finance and marketing from California State University, Sacramento.